In addition to the upcoming ISUOG World Congress, the unmissable leading event in the field of ultrasound in obstetrics and gynecology, there are other ISUOG events to save the date for! 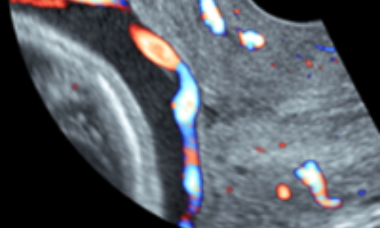 There are three state-of-the-art ISUOG Education courses coming your way (all available to live stream): Fetal Anomalies on the 3-5 May in Athens, Greece, First Trimester on the 4-5 May, and Urogynecology and Pelvic Floor Ultrasound on 6 July in London, UK. Additionally, our upcoming 15th ISUOG International Symposium in Brazil on 12-14 April is incorporating ISUOG Basic Training - the BT course will take place on 11 April, and will be available to live stream individually and via satellites if you can't join us onsite in São Paulo. In other Basic Training news, Basic Training’s full theoretical curriculum is now complete, so be sure to check it out! You can also view a selection of highlights from our past Basic Training courses, and find out more about our Basic Training contributors.This newsletter also contains a special International Women's Day message from ISUOG President Prof. dr. C.M. (Katia) Bilardo - scroll to the bottom to see it. ISUOG wishes you all a happy new year! In our first newsletter for 2019, ISUOG CEO Sarah Johnson outlines our achievements for last year, extending warm thanks to all involved in our community, along with our goals for this coming year. We're thrilled to announce we have reached our highest ever number of members - 15640 members in 140 countries! 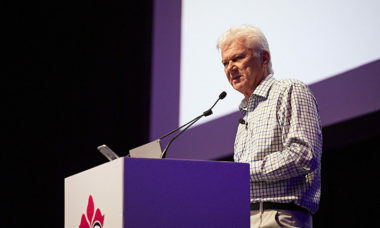 Our Singapore World Congress was also record breaking, with our highest ever number of delegates outside of Europe (nearly 2,500 attendees) and our highest ever satisfaction score for a Congress with 6.1 out of 7. You can check out the upcoming events, this month's Journal highlights, what's new from Outreach, and more. This month, we have a video message from the new ISUOG President Dr Caterina Bilardo asking ISUOG members and non-members to get involved with the society and tell us what you need from ISUOG. We need you! We also have information on two upcoming ISUOG Education courses, Multiple Pregnancy and Placental Insufficiency, and other ISUOG educaitonal opportunities. You can also check out the December 2018 UOG Journal highlights, ISUOG2018 awards, a new Basic Training film and more. 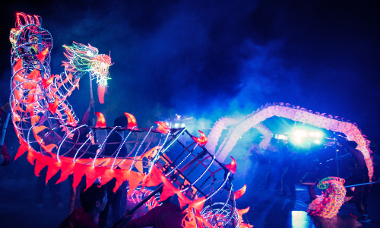 Read this month's newsletter for our Singapore World Congress highlights, which took place on 20-24 October 2018, and updates on our 2019 Berlin World Congress. 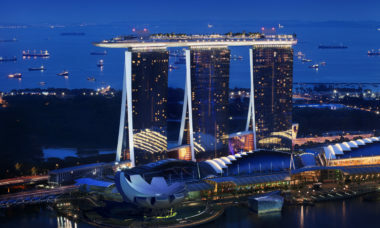 Over 2000 delegates from 86 countries attended the 2018 World Congress onsite at the Marina Bay Sands in Singapore! 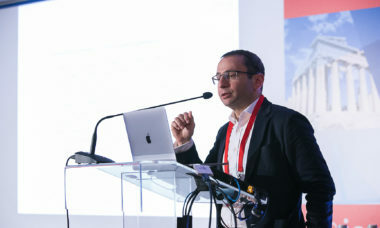 We hope you enjoyed this event and we look forward to seeing you in Berlin for #ISUOG2019. 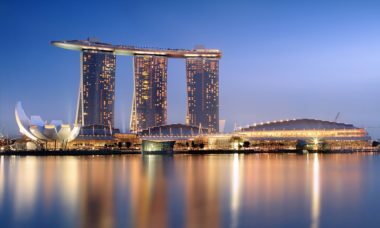 Everything you need to know about the Singapore World Congress! Find out about the program, viewing the presentations On Demand, additional educational opportunities, networking and our social program, accomodation, how to supplement your learning, and our #UOGIMPACTFACTOR photo challenge. Also available in this newsletter are our UOG highlights from the October issue of Ultrasound in Obstetrics & Gynecology, and our other upcoming events. Subscribe to our newsletter or become a member to stay up to date will all things ISUOG! In this month's newsletter, you'll hear all of our most recent updates on our upcoming World Congress: such as our simultaneous interpretation (sessions available in Mandarin), Congress networking opportunities, certificate program focusing on the First Trimester, and Congress live streaming opportunities. Register now to avoid missing out on the leading scientific event in the field! You can also apply now to join an ISUOG committee, and help us further our mission and vision by shaping our society further. Other news includes our September issue highlights from the UOG Journal, updates on our advanced fetal neurosonography course in December, Basic Training news, and information about ISUOG approved courses and other upcoming events. 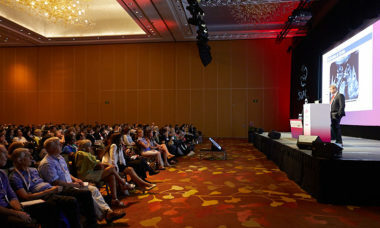 There are just 16 days until the early bird registration deadline for the ISUOG World Congress in Singapore, so check out our highlights to see why you can't miss the leading event in the field. By registering before 20 August 2018, you'll access the lowest available rates - so don't delay! Also in this month's newsletter are our August 2018 UOG Journal highlights, updates on our online educational resources, information about our other upcoming events (such as our December Advanced Fetal Neurosonography Course), and a new accompanying video for our intrapartum ultrasound video. Finally, read the newsletter for the latest Basic Training news following our 2018 Basic Training summit; and learn more about our BT satellite scheme and our upcoming BT in Lebanon program. 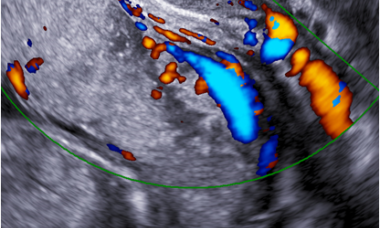 This month we are celebrating Ultrasound in Obstetrics & Gynecology's outstanding new impact factor of 5.65, earning UOG the ranking of 3rd out of 82 journals in the field. See Prof. Stuart Campbell's response to UOG's new impact factor, and learn how to publish your work within UOG. We are also welcoming the new Editor-in-Chief of UOG, Anthony Odibo. 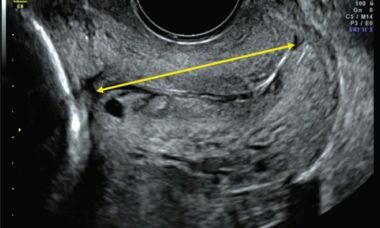 You can also check out the highlights from the July issue of UOG, including a new ISUOG Practice Guideline on intrapartum ultrasound. 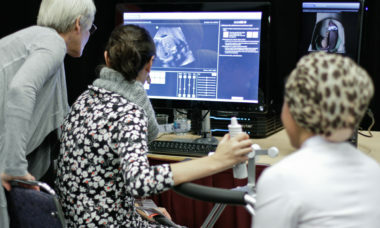 Also this month: read about our recently relaunched fetal biometry calculators, see new highlights from the scientific and social programs of the upcoming World Congress in Singapore, check out other upcoming state-of-the-art ISUOG events, and learn more about hosting a Basic Training satellite. The preliminary program is now available for our upcoming 28th World Congress on Ultrasound in Obstetrics and Gynecology in Singapore - check it out to see what topics you'll be hearing on! 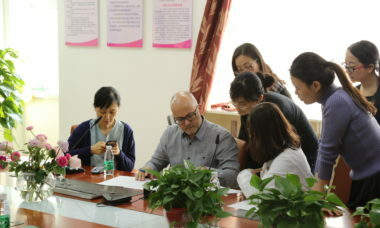 Also in this newsletter are other updates regarding the Congress, highlights from the June issue of Ultrasound in Obstetrics and Gynecology (which has a special focus on pre-eclampsia), details on new VISUOG chapters, an update on our China Task Force, trainee program news, upcoming educational opportunities and Basic Training information. The May issue of Ultrasound in Obstetrics and Gynecology has a special focus on the predictive tests and interventions for preterm birth (PTB) that are under investigation. Also available this month is a Virtual Issue on the Prediction and Prevention of Preterm Birth, presenting a series of papers reporting on predictive tests and interventions for preterm birth, as well as on how best to integrate them into clinical practice. 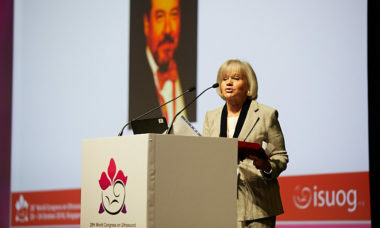 This month, we'd also like to inform you that presentations from our award winning 2017 World Congress in Vienna are now available to ISUOG members on our On Demand platform. We're also pleased to announce a new Basic Training Satellite pilot scheme, more details on our upcoming World Congress and other educational opportunities, highlights from our International Symposium in Athens, and more. This month, we are excited to announce that we received almost 900 abstract submissions for our 28th World Congress on Ultrasound in Obstetrics and Gynecology in Singapore! For more World Congress highlights, check out this newsletter. Also in the newsletter is up-to-date information about our other educational opportunities, such as our 14th International Symposium in Athens this month, our upcoming 'Managing incidental ultrasound findings in gynecology' course, and more. You'll also find a summary of highlights from the April issue of UOG, an update on our Outreach partnership with the World Health Organisation, news about our China Task Force, and job opportunities within ISUOG. This month, we have a new Virtual Issue on Cesarean scar placenta and Abnormally Invasive placenta. Check out our March issue of UOG, which includes a Randomized Controlled Trial on fetal middle cerebral artery Doppler for timing of intrauterine transfusion in red-cell alloimmunization, a Systematic Review on prognostic accuracy of cerebroplacental ratio and middle cerebral artery Doppler for adverse perinatal outcome, and an Original Article reporting on an expert review of sonographer self-reported visualization of normal postmenopausal ovaries on transvaginal ultrasound. Register now for our upcoming educational courses such as Fetal Anomalies (21 April 2018) and Managing incidental ultrasound findings in gyencology! There is one month left to submit abstracts for the 28th World Congress on Ultrasound in Obstetrics and Gynecology. You can now submit an abstract or register for the 28th World Congress on Ultrasound in Obstetrics and Gynecology in Singapore, we hope to see you there! Check out this month's issue of UOG which focuses on abnormally invasive placenta, and supplement your reading. Become a member to make the most of our growing online educational resources such as VISUOG and CME.